Did you know that, if you lived in Japan, you could still buy a brand new, fuel injected Yamaha SR400 off the showroom floor? Did you know that the SR400 and SR500 were both launched in 1978; the 400cc version was required to meet Japanese registration regulations for their domestic market? I did not know these facts. 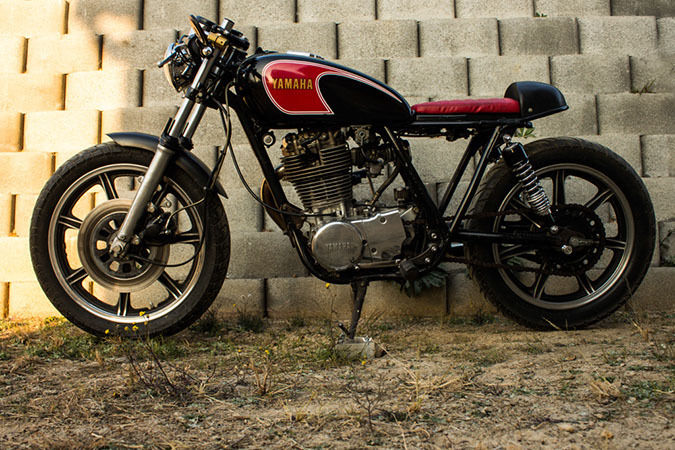 I do know that if the importers of Yamaha were able to bring the SR400s into South Africa, they would probably try to make too much of a profit margin and they would not sell. It is a pity that we don’t get them. 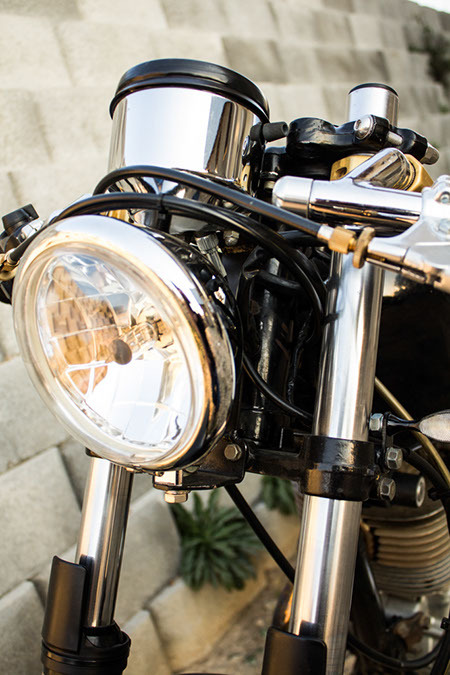 Go and have a look at Deus ex machina, Australian builders are producing custom bikes based on SR400’s that they are importing themselves. The SR series has always been a great donor bike. Although only imported into South Africa for a few years and never a big seller, the SR500 was produced until 1999. The SR400 continued the legacy in Japan and Europe until 2008 when production was stopped to redesign the engine to meet emission requirements. In the original carburettor version’s thirty year run, 120 000 SR400/500 motorcycles were produced. In 2010 the SR400 was relaunched with fuel injection. Happy 35th birthday! With their British inspired looks, single cylinder engine and simplicity of design the SR500 makes a great retro cafe racer. 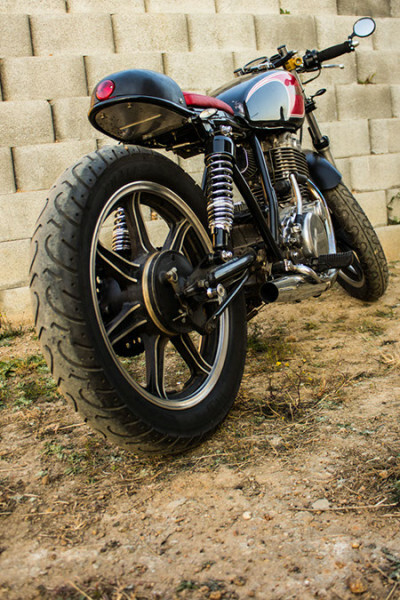 Our featured SR500 is a no frills cafe racer, very reminiscent of what was being built back in the day. 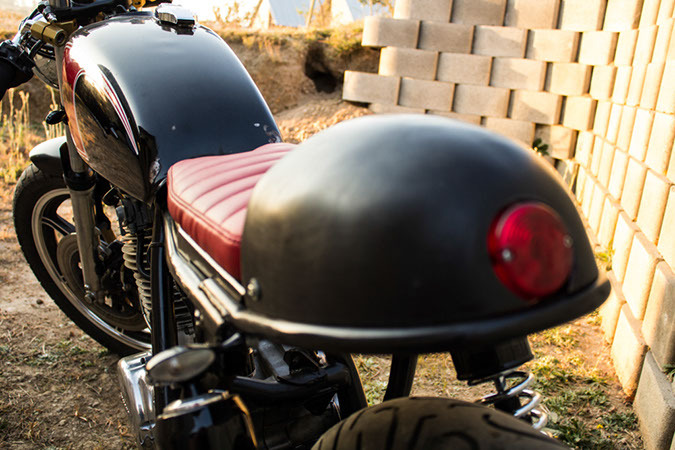 This motorcycle was home garage built by Barry from Midrand. The difficult part of creating a stripped down, low weight Japanese model cafe racer is removing and rerouting of the wiring harness. The clip-ons, bumstop and lowered front end complete the look. 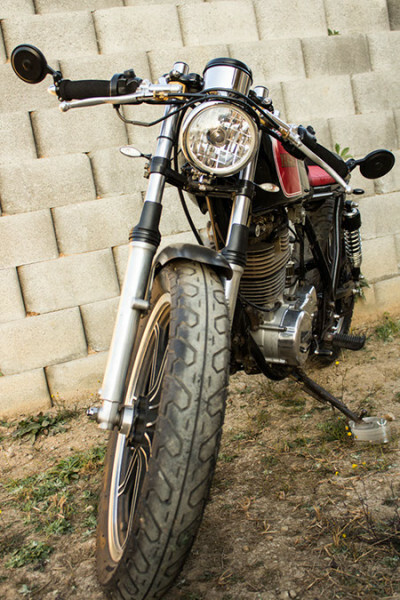 To some of our readers, this motorcycle may be too basic and not fancy enough. We would like you to keep something in mind. Amateur chopper building, where choppers started, is dead. It was killed off by bling, hugely expensive and almost completely unrideable professionally built creations. Some cafe racer builders are also moving in this dangerous direction. There is always room for the showstoppers but never lose sight of where it all started. I just stumbled upon this article now. I funnily enough own this very bike, which i bought about a month ago here in Durban, South Africa. If anyone can give me any further info on the build or work done on the bike, i would really appreciate it.